Based in the Portland, Oregon Metropolitan area, Emerick Construction is an established and locally-owned company committed to long-term stability. Paul B. Emerick was a teacher who built houses in his spare time on the weekends. His “hobby” grew rapidly through word of mouth, when, in 1943 he established a full-time concrete subcontracting firm. By the 1950s, we were doing commercial work and won our first $1 million contract with the Dairy Cooperative Association. Over half a century later, Emerick is ranked among the area’s top general contractors and has earned a reputation as the contractor of choice for challenging, team-driven projects. 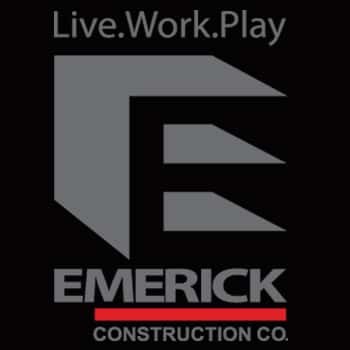 In addition to being a financial sponsor for Caddy For A Cure, Emerick Construction is the official shirt and caddy bib sponsor for the Caddy For A Cure program participants. Please CLICK HERE to visit Emerick Construction.